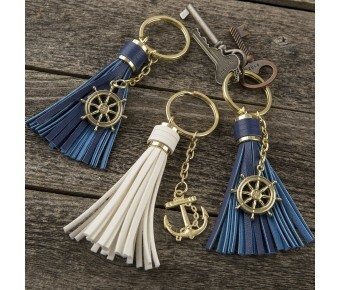 Transform your keys from the everyday into something fabulous with a nautical themed charm and tassel. 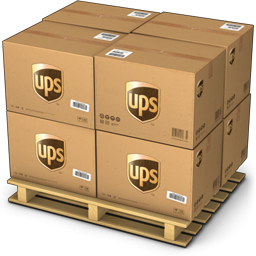 You will want to keep showing them off at very opportunity! 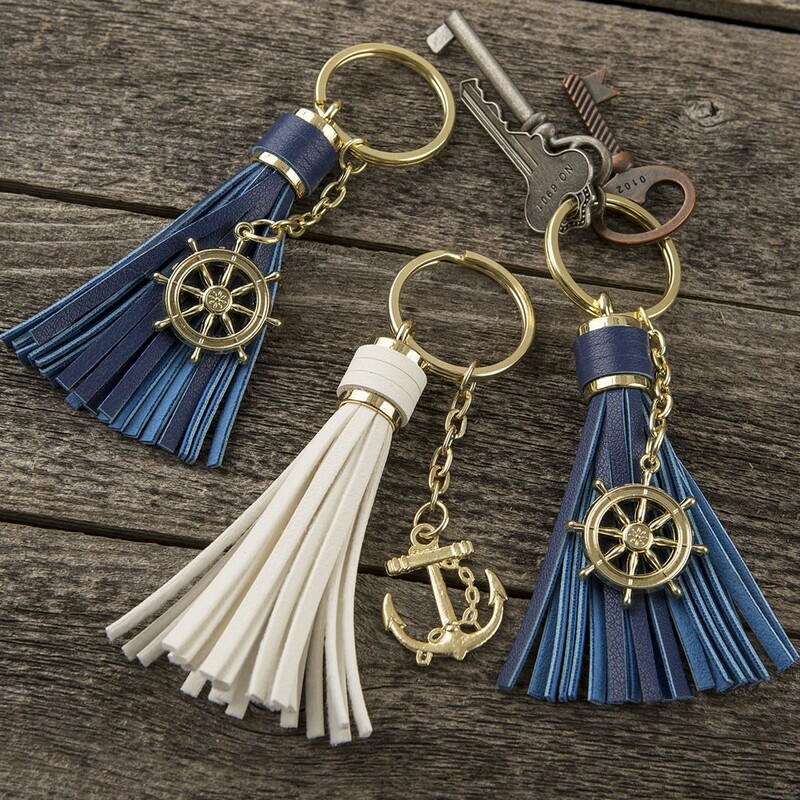 This nautical-inspired keychain features a tassel made from leatherette that is attached to a gold deluxe key ring and a gold color chain. Hanging off the end of the chain is a choice of two beautiful ocean-themed charms. The blue tassel design features a gold ship's wheel charm and the white tassel design features a gold anchor charm. These keychains make ideal gifts for ocean lovers, boating fans, surfers and anyone who loves to have the essence of the ocean close at hand. Size is 4" x 1 1/2"
Size of charm is 1"
Look no further for that nautical-inspired gift!